Serena Williams was born on September 26, 1981, into the tough neighbourhood of Compton, Saginaw, Michigan, to Richard and Oracene Williams. The youngest of five daughters. Serena’s father had long been a tennis fan and he resolved to teach all his children how to play the game. However, only Serena and her sister Venus took a keen interest in playing. When Serena was still a child, the family moved to live in Los Angeles, and later when she was nine years old they moved to West Palm Beach where she attended the academy of Rick Macci. While Serena and Venus received tuition from Macci they were educated at home by their father. 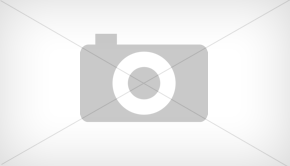 They then enrolled in Driftwood Academy which was a private high school in Lake Park Florida. At the age of 14, Serena turned professional making her debut in October 1995 at the Bell Challenge in Vanier, Quebec, Canada. However, she lost in under an hour to a virtual unknown. Her father Richard, who was not without his critics, offered Serena constant encouragement and her game thrived and improved dramatically. Under her father’s advice, Serena took the year off in 1996 and instead concentrated on training and developing her game. Her first professional WTA match was in Moscow in 1997. Disappointingly, Serena crashed out in the first round. 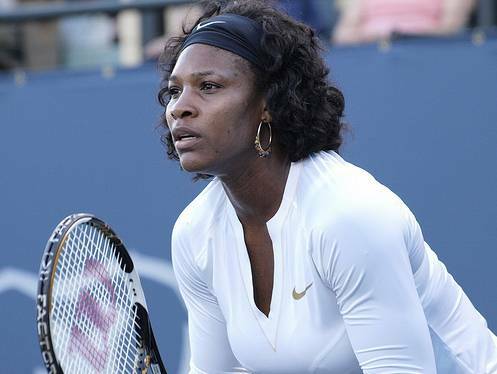 But things were about to change for Serena and she qualified for a tournament in Chicago. It was in Chicago, Serena faced the world’s number seven seed, Mary Pierce. There she staged a major upset, beating Pierce in straight sets. This advanced her into the quarter finals, where her opponent was fourth seed Monica Seles. 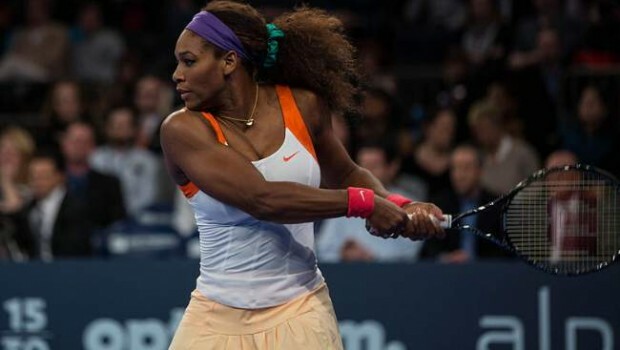 Again Serena defeated Seles in what was a massive victory for her. The win, saw her ranking shoot from 304 to 102 in the world. By the following year Serna had risen to number 21 in the world and reached the semi-finals of a tournament in Sydney, Australia, where she beat third-ranked Lindsay Davenport. 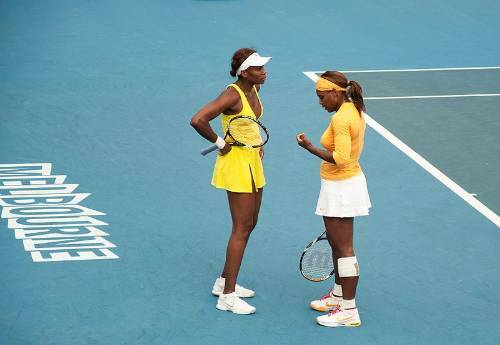 Expectations were high when she went into the Australian Open, but in the second round her older sister Venus was her opponent and Venus emerged victorious. In 1999, Serena won the Paris Indoor Tournament when she beat Amelie Mauresmo. She followed up this victory by winning the India Wells, beating off Lindsey Davenport, Mary Pierce and Steffi Graf. However, once again she was beaten by her sister Venus in the finals of a tournament in Miami. Her most important victory that year was in the U.S. Open, where she reached the finals by seeing off, Monica Seles, Lindsey Davenport and finally Martina Hingis. This was her first Grand Slam tournament, making her the lowest seeded player to ever win the title. Her only remaining challenge was to beat her sister Venus, something she did later that year in the Grand Slam Cup. Just as her star was in the ascendant, Serena began to be plagued with injuries forcing her to pull out of many tournaments Finally she decided to take time off to heal and by June 2000 she was back healthier and fitter than she had ever been. She qualified for Wimbledon, but once again in the semi finals she faced her sister Venus, who won 6-2, 7-6. However she did win the doubles at Wimbledon and the doubles at the Summer Olympics in Australia that same year, each time with her sister Venus as her partner. 2001 brought a less than auspicious start for Serena. In Sydney she lost to Martina Hingis and in the Australian Open, Hingis beat her once again. But with her sister Venus at her side, the dynamic duo won the Australian Open doubles. Once again ill-health forced her out of tournaments, including the Paris, Scottsdale, Charleston, and Madrid tournaments. But she came back to win the Canadian Open beating number three Jennifer Capriati. But her sister Venus once again defeated her in the final of the U.S. Open. In 2002, she was on top of her game and went on to win the Italian and French Open where for the first time she beat her sister in a Grand Slam, giving her a rating of number 2 in the world. She defeated Venus again when they met in the 2002 final at Wimbledon, making her the number one female tennis player in the world. 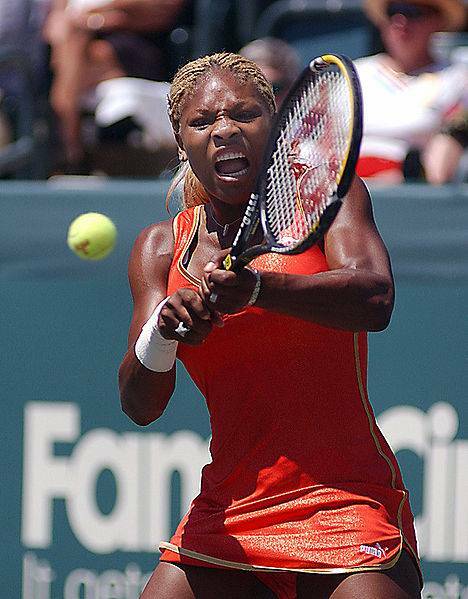 2002-2003 saw Serena dominating the courts, defeating Venus yet again in the U.S. Open. 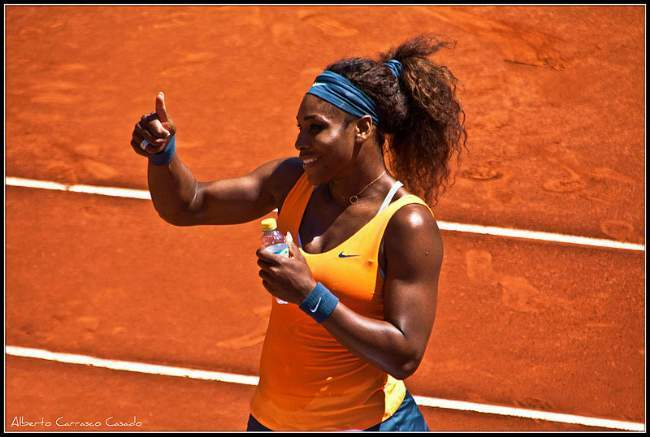 She won numerous other tournaments becoming one of only four women to hold Four Grand Slam Titles at one time. But Belgian woman, Justine Henin-Hardenne, ended her winning streak in the Charleston tournament finals, ending Serena’s tour de force of 21 match wins. Toward the end of 2003, she was defeated once again by Henin-Hardenne, in the semi-finals of the French Open. During the match she was constantly heckled by the partisan crowd. Many believed the match was the beginning of the end for Serena, however she proved them wrong when she came back with a vengeance to win over Venus in Wimbledon. Since then Serena Williams has won 22 Grand Slam titles, and is ranked number two in the world. She beat her sister Venus in Wimbledon again this year 2009. She has also won two Olympic Gold Medals and has earned more prize money than any other female athlete in history. However Tennis is not her only love, she also enjoys acting and has appeared in shows such as NBC’s Law and Order and ABC’s My Wife and Kids. She has also appeared on numerous talk shows. Both Serena and Venus are Jehovah’s Witnesses. As a result, they do not vote in elections or get involved in politics. Consequently, neither voted in the 2008 US elections. Serena has a keen interest in fashion and designs her own clothes. Her designs are called Aneres, which is her own name spelled backwards. She is hoping to sell her clothing range in boutiques in Los Angeles and Miami. On the Line is an autobiography chronicling Serena’s life. Although highly sanitised, nonetheless it offers a fascinating insight into how Serena perceives the world, herself and her family. Venus & Serena: My Seven Years As Hitting Coach for the Williams Sisters is written by her former coach and shows an altogether different perspective from that of Serena’s. The book portrays her father, Richard in a rather less sympathetic manner than On the Line does and is a fascinating and highly recommended read. For people living in Ireland or the United Kingdom, you can access On the Line and Venus & Serena: My Seven Years As Hitting Coach for the Williams Sisters here. For those who live in Canada, you can obtain On the Line and Venus & Serena: My Seven Years As Hitting Coach for the Williams Sisters from here. For Germany: On the Line and Venus & Serena: My Seven Years As Hitting Coach for the Williams Sisters. For France: On the Line and Venus & Serena: My Seven Years As Hitting Coach for the Williams Sisters.